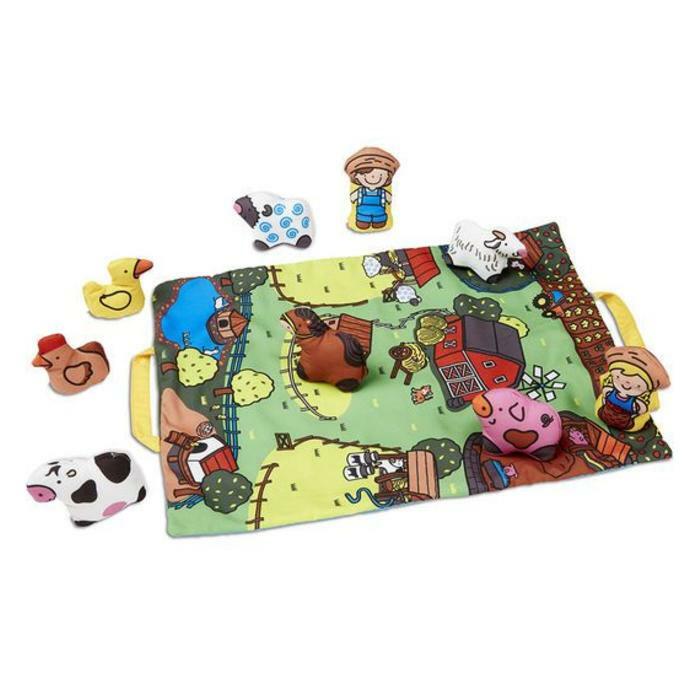 ake the fun along with you with this versatile, colorful play mat and farm friends set! 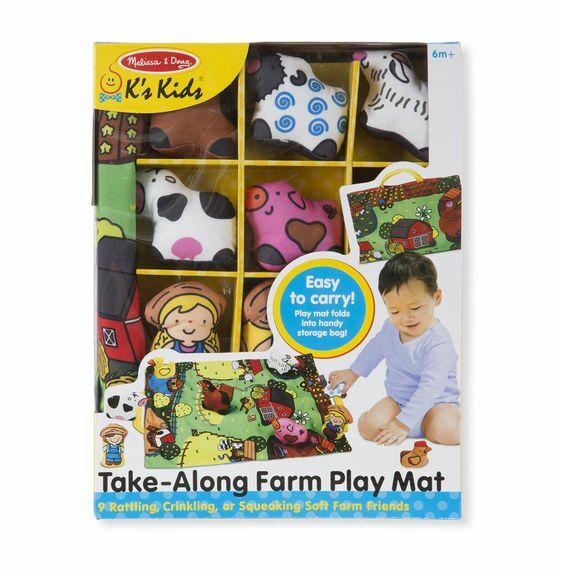 The mat, with a non-skid backing, features an illustrated farm scene in bright, eye-catching colors. 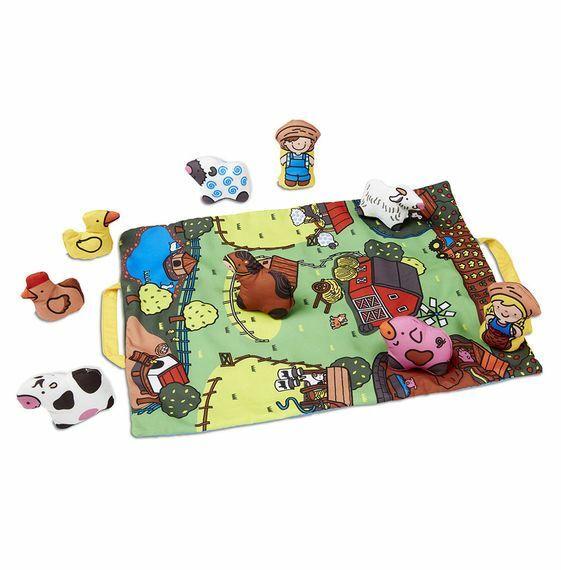 The nine soft fabric animals and farmer figures crinkle, rattle or squeak. All fabrics are easy to clean. 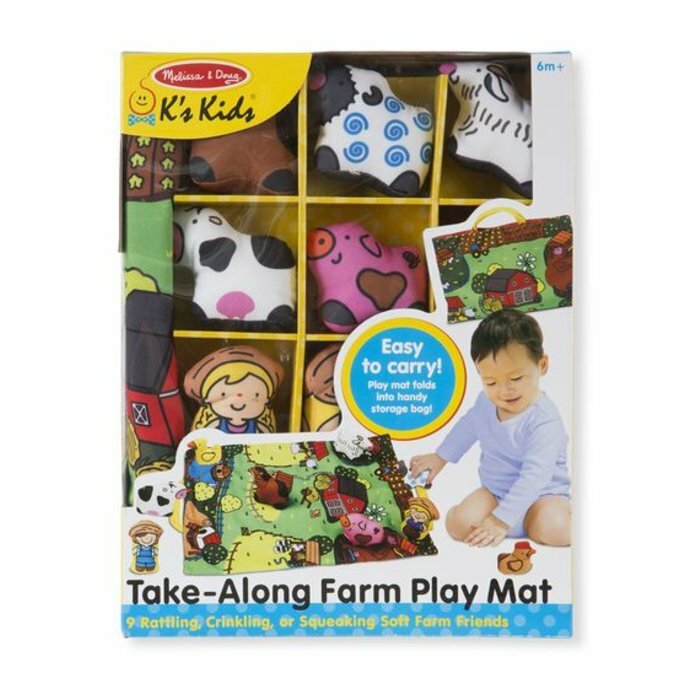 The play mat folds up to become a convenient storage bag for the farm friends, making it perfect for travel. When open the mat measures 19.25 x 14.5 inches. Melissa & Doug K's Kids toys nurture early childhood development in three key skill areas: physical, cognitive, and social. With interactive designs and multisensory features, K's Kids promotes constructive play and effortless learning, keeping interest high and new skills flourishing throughout the baby and toddler years!